Can you write a story with no character arc? Is that even possible? And, if it is, will the story be doomed to drabness in comparison to those that do feature rich character arcs (of the positive, flat, and negative varieties)? These are questions I encounter frequently, and they’re absolutely valid. We often think character arc and story are synonymous—but then we go looking for the arcs in favorite stories, by trying to find the character’s Lie and Truth, and we sometimes come up short. Are we just blind to the arc the author intended? Or could it be that such a (gasp!) soulless thing as a story with no character arc actually exists? Is It Possible to Write a Story With No Character Arc? In a word: yes. Totally possible. This is fiction after all. Anything’s possible! Character arcs are centered on moments in people’s lives when they’re changing their mindsets, their worldviews, their personal paradigms. But lots of interesting things can happen without radical personal growth having to along with it. One of my siblings’ favorite stories of our growing-up years is how’d we’d play The Great Escape. I’d always get to be Steve McQueen (hey, I was the oldest! 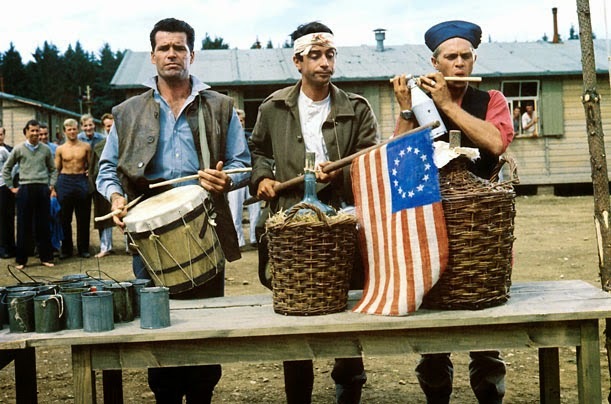 I got to pick first), my brother would always be James Garner, and we’d always make our little sister, despite her protests, be the “other” American. (Don’t remember him, do you? We didn’t even know his name, so we called him Mickey Brown.) She’ll never ever let us forget that. Sadly, I’m unable to report any personal growth involved. Still, it’s a good story! What goes in real life goes for fiction as well. If you have a story in which stuff happens and it’s interesting—but there’s no character arc—that doesn’t mean you might not still have a rip-roaringly grand tale on your hands. A situation is a problem or predicament with an obvious and direct solution. A situation does not reveal character; it tests problem-solving skills. A situation has no (or few) subplots, twists or complications. A situation begins and ends in the same emotional space that it started in. Number Two is especially important. A book with no character arc will still be about a protagonist who wants something, has a goal to gain that thing, and meets up with opposition that gets in his way. He’ll no doubt learn a few facts and perhaps skills along the way. But he won’t have to undergo a fundamental personal change in order to defeat his antagonist. Whatever Lie may be present in his life won’t be challenged by the events of this story. 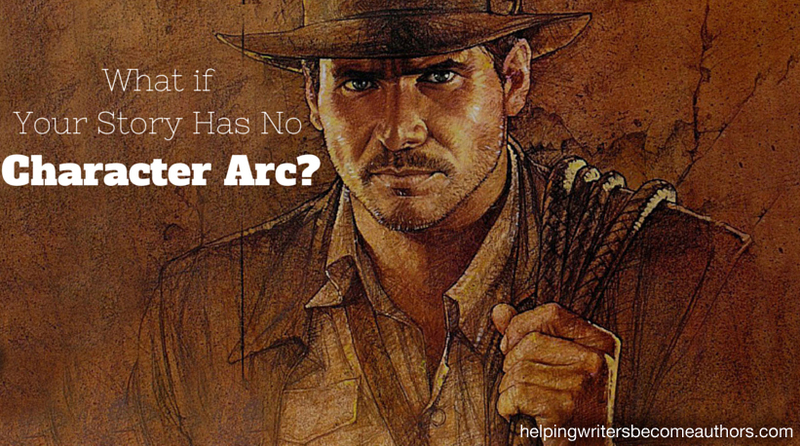 By Lyons’s definition, Raiders of the Lost Ark (or is it Arc?) is a situation, not a story. Indy has no character arc. He’s the same guy at the end of the movie as he was at the beginning. Did that harm the story? Not at all. Nobody (including Spielberg, who was convinced while he was making it that it was B film) would accuse it of deep thematic grist. But it’s a timeless and innovative romp that continues to charm audiences. 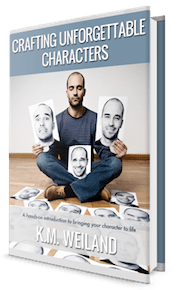 Flat character arcs involve no personal inner change for the protagonist. So how is that different from a story with no arc? And how can you tell the difference? The key is that flat arc stories still incorporate a Lie/Truth. But unlike in change arcs, the protagonist already possesses the Truth and is able to use it to change the characters and world around him. By contrast, in stories with no arc, there will be no battle between a Truth and a Lie. Arc-less stories tend to show up predominately in the action/adventure genres, where the emphasis is on the physical journey/survival of the characters. At first glance, we might want to lump the whole action milieu into this mix. However, many stories of this ilk do incorporate comparatively shallow Lies and Truths, making them flat-arc stories. 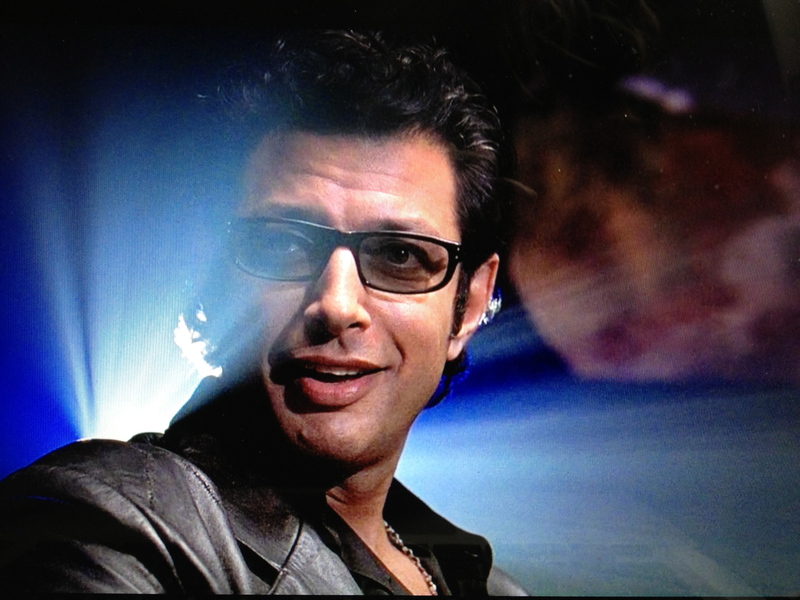 For example, Jurassic Park (to return to one of my favorite examples) is essentially as much of a situation as is Indiana Jones, even though it incorporates a positive change arc in a subplot. But, unlike Indiana Jones, Jurassic Park presents its scientist protagonists as flat-arc characters trying to use the Truth that “life won’t be contained” to protect and change the dangerous world in which they find themselves. This type of Truth isn’t going be as thematically deep as Hamlet’s existential “to be or not to be” variety, but it can still bring an added dimension even to stories that, on the surface, don’t seem to require any type of arc. Should You Write a Story With No Character Arc? And now we come to the big question. Should you ever consider writing a story with no character arc? There’s no black or white answer to this. You can write a story without a character arc, and, what’s more, you can write a fabulously entertaining story. If you have a story that works well based on its situation alone and you don’t want to mess with an arc, go for it. Situations entertain us; stories entertain and teach us what it means to be human. Weigh your options. What would be the pros and cons of excluding an arc from your current story? Listen to your gut–but never include a character arc just because you feel you have to. Tell me your opinion: Do you think a story with no character arc can be as good as a story with an arc? 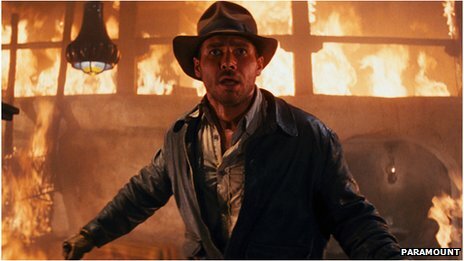 There are people after Indy in Raiders of the Lost Ark as well as the other movies, and you usually think about is he gonna make it, which is often the question of the Indiana Jones franchise. K.M, this might seem completely unrelated, but if someone were to give their villain a redemption arc, how exactly should it be constructed so that it’s believeable? I am not sure if I shall write an arc-less story, but some of my more action-oriented sequels would be candidates. As far as my preferences for enjoyment, I usually watch or read fiction for entertainment, rather than philosophical enrichment, especially if my philosophy is different than that of the author/director. My dad said that in one of the Indiana Jones movies, Marion Ravenwood supposedly dies and he ends up crying and drinking, proving that he’s distraught about it, and when he finds out that she’s alive, he’s happy, but not so happy that he’s been lied to, so he wants to get back at those people. I wonder if my hero and heroine have flat arcs. Actually, maybe the heroine will have a bit of an arc, since she must risk being exposed if she ever wants to find her family and dethrone the rebel leader. So maybe she’ll learn that taking risks isn’t what it seems? Taking risks is necessary? You have a very insightful website. Glad I found it by a fortunate accident on the Google highway. When stories about humans are written by humans, I don’t see how the character arc could escape the scenes, even if it was never consciously planned for by the author. Events occur as the story unfolds, and they do bear an effect, however small or subtle, on the characters involved; unless of course those events are written to occur in total isolation and have no relation to the characters. As a result of the sum of these effects, readers would certainly perceive a change in the characters. If nothing else, they may perceive a reflection of the emotional change that occurs in them when reading about the event. Then there is also that possibility of the author’s own arc showing through. Having said that, there are also some short stories where the character arc is not clearly obvious, or is only implied, or perhaps looms only in the backdrop. Say for instance, the protagonist realizes a hidden truth at a time when it is already too late to act upon it, and the story ends with this realization. The last point brought me to wonder if my recent very-short practice story may actually be a case in point. And then I also wondered what other structural elements I have consciously considered when I wrote it, and how far I have succeeded. But in addition to judging it myself, I would also love to have your feedback on it. If you permit me, I could post it in my next comment (it’s just about 800 words). Glad you’re finding the site useful! Unfortunately, my schedule doesn’t allow me to read or critique manuscripts—although I’m happy to answer any specific writing questions you may have. I understand. Many thanks, again. I finally finished up the last of my protagonist’s character arc today and was excited to begin working on my scene list when—whoops! I found out my other characters should probably have arcs as well. (My story is definitely action and adventure, and I found my protagonist’s arc very difficult to create, even though there is a definite Truth and Lie… her arc is still there, it was just hard to create amidst all the action. And I definitely *need* it to be there because there’s a message of faith I want to convey). What about my other characters? If it’s possible to create an arc-less story, is it possible to create arc-less characters, even though the story features a protagonist who *does* have an arc? My story has two main characters (one being the protagonist and second being the love interest), but does the second main character need as much thorough character arc planning as the protagonist? Who then gets the Characteristic Moment and such of the first scene—or should there be two, one for each of my two main characters? Or should the love interest’s arc not be as focused-on as the protagonist’s? His Truth and Lie would be very different than the protagonist’s, so I’m thinking it would be quite random and not thematically pertinent to the plot. That said, does my antagonist need a character arc as well? If I write in first-person present POV but am wanting to avoid antagonist POVs and the main characters don’t meet the antagonist face-to-face until the climax, how is this possible? Or is it indeed possible to have arc-less characters within a story that *does* have an arc for my protagonist? For example, my protagonist’s mentor and sidekick are left behind in the Normal World when she ventures on to the Adventure one, and it would be very random to devote time to their arcs that don’t make sense with the story. Is it wrong for them not to be with the protagonist throughout her journey or can they indeed be arc-less? As you can see, I’m just learning about character arcs, but I’m not enjoying creating them. It’s probably just because I’m impatient and want to hurry and write my story instead of work on something frustrating I’m struggling to grasp, but I know that if I’m not enjoying the process of creating the arcs and don’t like them, my readers most likely won’t, either. But if I ignore the arcs entirely, I’d be throwing away a lot of my story’s potential, and I don’t want to do that. (Because I’m inexperienced and just learning these things, I also feel like trying to do everything at once without having mastered it will clutter my story and not make it as good—but I keep on discovering things I’m doing “wrong” or just haven’t even heard of and know I need to fix them/add them). Would you have any advice or recommendations on any of this? 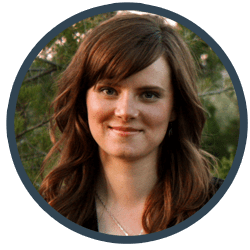 Thank you for your time and everything you do on Helping Writers Become Authors—and sorry for all the questions! You can write arcs for as many characters as you want. But main character is the only one that truly matters. 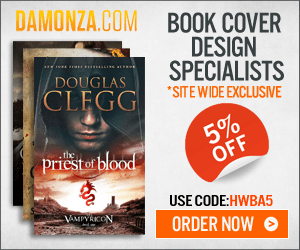 See this post: Should All Your Minor Characters Have Arcs?. As always, you wrote a great article. I’m working on a story where the hero is in his forties, has life and his place in it pretty much figured out, and faces a situation he must learn to navigate. He’ll emerge believing in something entirely new than when he started, essentially replacing his core beliefs. Would this be considered a character arc? Thank you.